Going into business is about far more than making money. Truly successful business people know that a life in business is one of learning, of building relationships, of fostering community and of giving back. 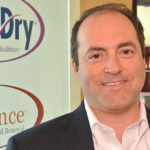 In the franchising world, no one knows this better than N-Hance CEO Dan Tarantin. 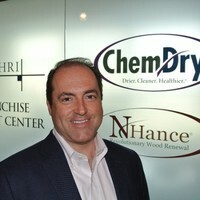 Under Tarantin’s visionary leadership at Harris Research Inc. — which includes both Chem-Dry, the carpet cleaning franchise giant with more than 3,500 locations around the world, and N-Hance, which celebrated the opening of its 500th location in 2018 — entrepreneurs receive the tools, support and business model they need to flourish. This is why renowned speaker and author Dr. Alan Zimmerman asked Tarantin to share four of his secrets for success in a revealing and deeply personal interview. Alan: Even though you head up a huge international company now, I know you didn’t start at the top. You weren’t born with a silver spoon in youth, and you weren’t given a lucrative family business to take over. So where did your success start? Dan: Strangely enough, it all started with grief. When I was 13 years old, my father passed away. To lessen the burden on my mother, I found a job in a sub shop. I worked so hard that I was ready to manage the shop on my own at 16. I began forming my identity as a leader, and I learned how to build teams of all ages that worked together, how to mentor and manage employees, and how to run a successful small business. All of that taught me the first secret of success: Work and learn. It would have been easy to go through high school all bitter about losing my father, but I channeled my grief into hard work. And learning. I just didn’t get a job to bury my grief and help my mother pay the bills. I got a job where I decided to learn everything I could about what it takes to become a leader and get ahead. After Tarantin reveals that his second tip is “listen, listen, and listen some more,” and his third tip is “discover the other person’s passion,” Zimmerman notices that all of Tarantin’s advice revolves around the concept of emotional intelligence. Alan: Almost everything we’ve talked about seems to touch on one of today’s hottest topics — emotional intelligence. How does all of that fit into your leadership success or success in general? Dan: They’re totally connected. I believe that emotions are at the base of everything. Which leads to my fourth secret of success: Respect the emotions of others. 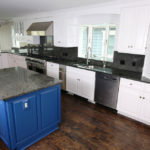 For example, my companies are about an awful lot more than cleaning carpets or refinishing cabinets. No, we’re in the business of creating environments where people feel comfortable, relaxed, peaceful, proud, inspired, clean, safe, and/or a host of other emotions. When we understand the emotions that are driving people, when we work with them to create solutions that will bring about those emotions, we feel enormously blessed. We feel like our work is more than a job. It is a purpose-driven profession that is making a positive difference in the lives of others. And that’s something to get excited about. We encourage you to read the full interview by clicking here. It includes more of Tarantin’s thoughts on how to find success, as well as Zimmerman’s thought-provoking questions to readers.